The Buzz: The Beguiled is a thriller set during the Civil War, featuring a group of women living in the south who encounter a wounded enemy soldier. The women decide to care for the soldier until he's well enough to turn over as a prisoner, but in the process they end up competing against one another for his attention. While well known for critical successes like The Virgin Suicides and Lost in Translation, director Sofia Coppola's more recent films, like Marie Antoinette and The Bling Ring, were met with less success. Early reviews indicate this might be something of a comeback for Coppola. What's Great About the Movie: The atmosphere and tone of The Beguiled is incredibly unique. While it's billed as a thriller, the audience probably spent more time in awkward laughter. 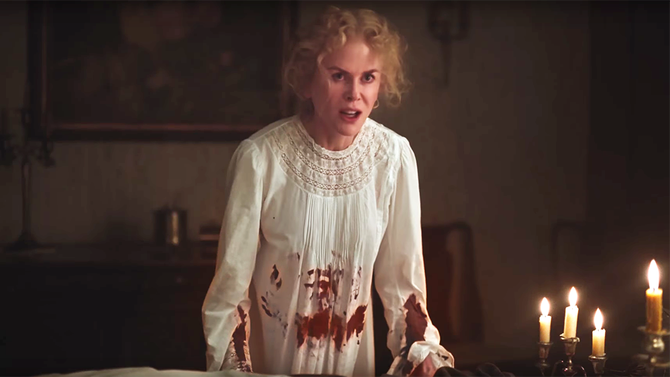 Constantly riding the line between eerie and awkward, The Beguiled embraces the absurdity of its characters and their behavior in an increasingly desperate situation where morality is all relative. In addition to being a potential vehicle for a resurgence for Coppola, The Beguiled also features a number of standout performances. The most notable of these is Nicole Kidman, who's had a string of successful roles, including her acclaimed performance in the HBO series Big Little Lies and Oscar-nominated Lion. What's Not-So-Great About the Movie: The Beguiled is an adaptation from a novel that featured white and black women, but Coppola's film features an all-white cast. A great explanation and analysis of the changes are available here. Coppola was also criticized for some of the ways she handled race in Lost in Translation, and the decision to remove women of color in a film set in the south during the civil war doesn't make a lot of sense, particularly in a story that focuses so much on the morality of the characters. Final Verdict: The performance from Kidman here is superb and the atmosphere and mood are incredible in how unique they are, but the way this was adapted is certainly problematic. If you're a Coppola fan, you'll probably enjoy this one. If her films are something you generally avoid for the reasons mentioned above, The Beguiled will unlikely do much to change the course.